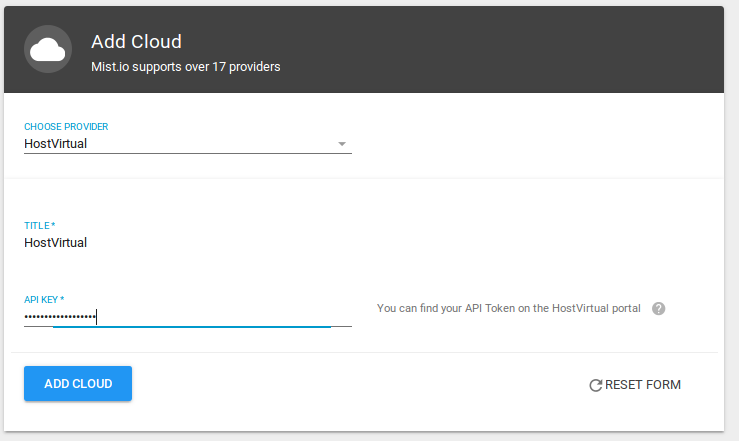 In order to connect your HostVirtual account with Mist.io, you will need an API Key. 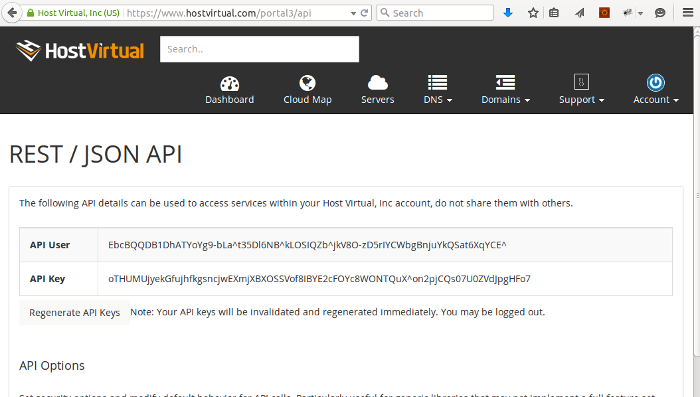 You can find the API key on the account section on HostVirtual. Login to https://www.hostvirtual.com and on the top right select Account. There select 'API keys' and copy the API KEY that will be there for you. On Mist.io, press 'Add cloud' and select HostVirtual from the drop list. Enter the API key and press Add.